7 1/2" Peanut Butter Stick Yogurt coating. 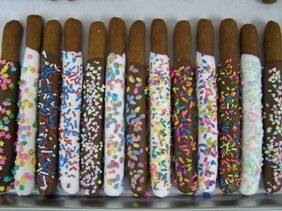 Assorted sprinkles are used for decorating. Sold as 1 pc.